Naples Cafe is a serious thing where I live. You can’t just open a cute cafè like anywhere else and wait for customers to come to you. Coffee in Italy is a boost to keep people awake, but in Napoli… we have our own coffee philosophy. Naples coffee is indeed different from anything else and it’s much more than just a caffeine boost. 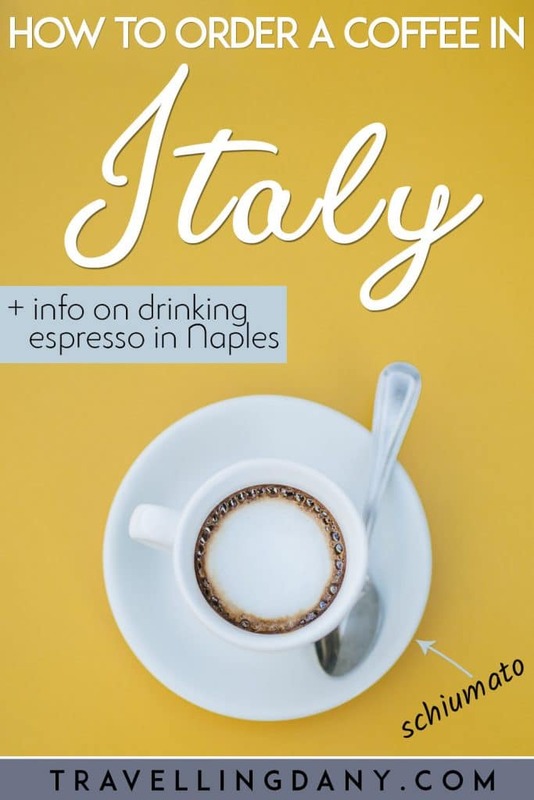 Let me tell you all of our secrets: how we drink it, how you can buy and prepare it at home, our favorite Italian coffee brands and where you can drink the best coffee in Naples! The perfect Italian breakfast: croissants (or pastries), newspaper and espresso! 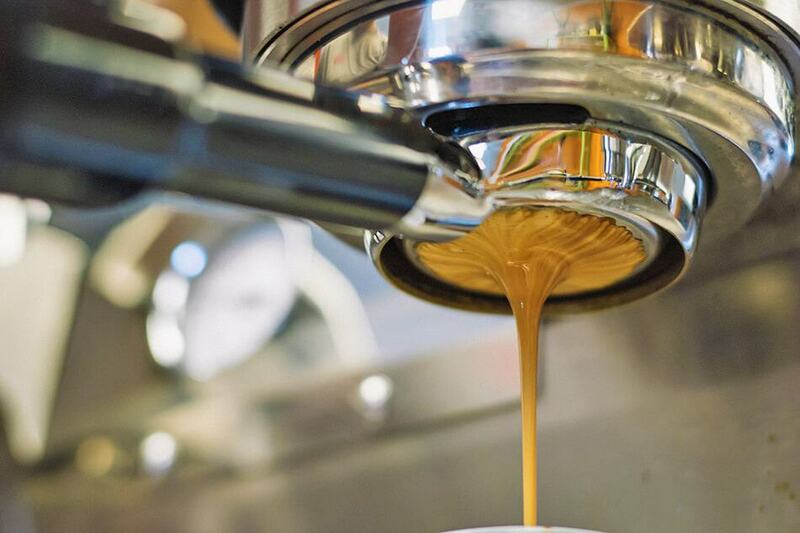 Let’s face it: Italians can’t live without espresso. But in Napoli coffee is much stronger than the one they prepare in other Italian regions. Of course the same applies also to the Amalfi Coast or the amazing Capri (where a cup of coffee is way more expensive than on mainland, just for your information). It’s like eating pizza. Whether it’s our water, the air or how we prepare it: Neapolitans do it better. Yet if you’re not used to it, you’d better be prepared. While in Naples you can drink the best Italian coffee, it’s also much more stronger. I once offered a cup of homemade “caffè” to a friend from Croatia who had been with us to visit Plitvice Lakes. He didn’t want to offend me, but he couldn’t finish it. In Croatia coffee is much more bland and served in teacups (much different from the ones we use in Italy)! The scent is mouthwatering, but it’s a huge kick if you’re not used to drink espresso… the Italian way. My suggestion is to try it at breakfast or as a “snack” in the morning. That way you won’t stay awake two days while you work it off! I wrote “snack” for a good reason. Naples cafe has to be served in a certain way. Usually it comes with a couple of butter cookies, or some dark chocolate. Of course the best thing ever would be to have your coffee with a delicious sfogliatella! 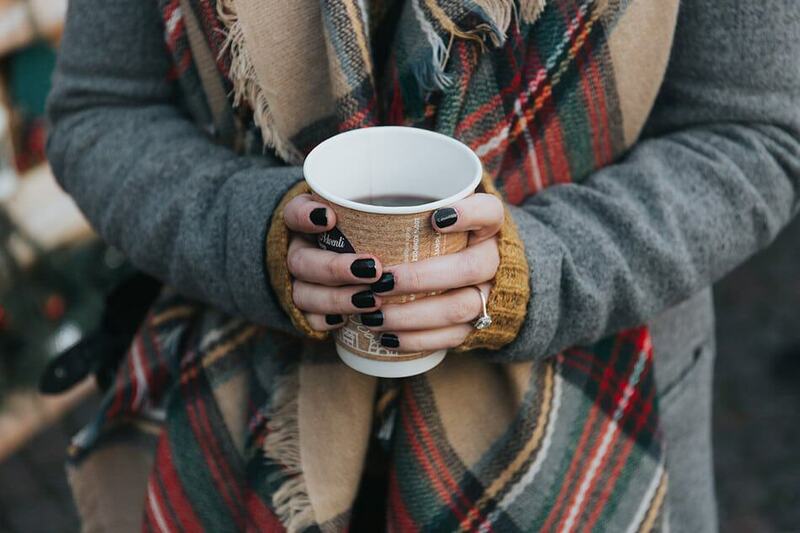 I must admit that Americano keeps your hands warmer if you visit Italy in Winter! Espresso is way too small for that! You might be wondering what’s the big deal. Sure, espresso is short and stays in a tiny cup, but that’s not the only difference. To make it short, we could say that Americano is a watered-down espresso. To prepare an Americano, in fact, you need to add one or two shots of espresso to a large cup and fill the rest with hot water. Which is also why I mentioned that espresso can be much stronger: Americano loses some of the kick because of the added water. Also when we make espresso, especially in Naples, there’s always a layer of foam on the top. It looks like cream and it tastes like it (in fact it’s called “crema”). This sets it even further apart from the regular Americano. If you’re planning to visit Naples, whether you’re only spending one day in the South of Italy or more, there’s a treat that I’m sure you’d love. Napoli best kept secret is called “Caffè del nonno“. Especially prepared for the warm season, this delicious Neapolitan coffee has to be drank very cold. Caffè del nonno looks like a creamy coffee and tastes like heaven and espresso. Prepared with heavy cream, sugar and cold espresso, it doesn’t taste like Italian gelato, but I can assure you that it will become your favorite treat ever. 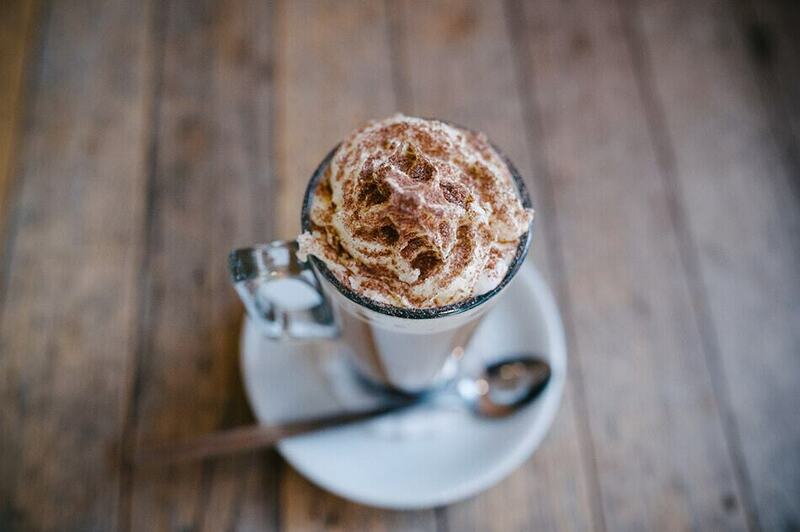 This cafe cream is sometimes served with whipped cream on the top and is lightly dusted with powdered cocoa. The best Naples cafes serve it with a few butter cookies. While this treat can be found (not always) in other areas in Italy, Naples is where it was created and where it’s more delicious. Always ask if they have it! How? Keep reading, we’ll get to that! My perfect Winter day: a good Neapolitan coffee, fireplace and my Amazon Kindle! 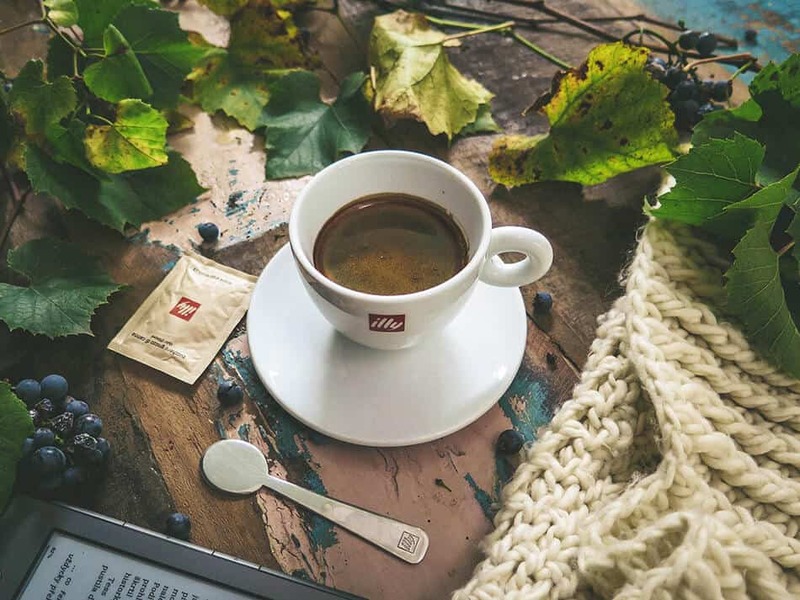 The best Italian coffee brands you can find are all high quality. You can understand how good a ground coffee is from the scent that will fill your nostrils when you open a new pack. In Italy you can buy good quality coffee either at coffee shops or at supermarkets. The prices are lower than what you’d expect, in many cases. Our best Italian espresso brands are Kimbo, Caffè Vergnano, Caffè Borbone, Illy, Segafredo, Lavazza, Toraldo. The prices are more or less the same, aside from Caffè Vergnano and Illy, that are a bit more expensive. They in fact pack their coffee in a can. Illy sells good Italian coffee in many Countries. They even founded a “Università del Caffè” (University of Coffee) to promote the art of espresso in the world. And I can vouch for them! When you are from Naples and have to leave your Country for work, you don’t (only) miss pizza. You want a great cup of neapolitan coffee! So when we visited our friend Mauro, who lives in Dublin, he excitedly dragged us to a tiny cafè where they sold Illy coffee. “I swear it’s almost as good as coffee in Naples” he told us. Of course, it’s not exactly the same, but if the bartender knows how to use their coffee maker, then you can taste a bit of Italy. Thank you Illy (and Mauro)! While Illy is delicious, us Neapolitans… tend to stick to our own products. I remember one time when we were exploring Via San Gregorio Armeno (Christmas Alley), looking for good bed and breakfasts in Naples Centro Storico for one of my articles. Me and Aldo stopped at a tiny (and I mean, really tiny!) bar to drink coffee. While we were there, a sales rep for Illy stepped inside to ask the barman if they could spare a few minutes to talk about this new kind of coffee beans they were selling. You should’ve seen the barman’s face. He was half baffled, half amused. “What?” he said, half smiling. “This is Napoli. Here we all drink Caffé Borbone!“. The rep walked away and the barman still couldn’t believe it. How could he not know? The fact is that here we are quite opinionated when it comes to coffee. But there are two brands that usually get everyone to agree: Kimbo and Caffé Borbone. Both are Neapolitan brands. Kimbo is a very old brand, the company was opened in 1963: I remember even my grandparents drinking Kimbo when I was a toddler! They always say that they want to put a whole city, Naples, in a cup of coffee: it’s the brand me and Al drink at home. Caffé Borbone is younger, they started the company in 1997 in Naples, but it doesn’t mean they can’t produce high quality ground coffee. Their logo and brand name is inspired to the Naples of the Bourbon period. It used to be the most important city in Italy, the second most important in Europe and the fifth in the world. During that period Naples cafe was sold at “kaffehaus“, cultural centers where poets, writers and politicians used to hang. We still have one from back then, it’s Grand Caffé Gambrinus! 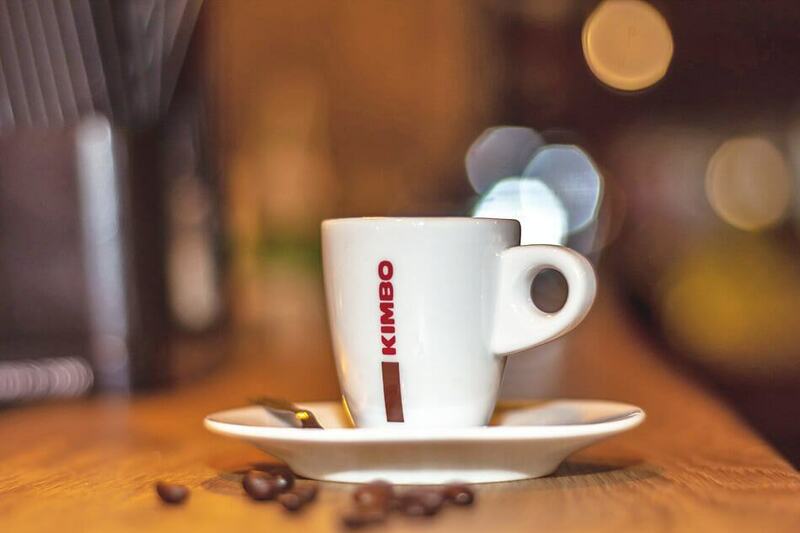 Kimbo and Caffé Borbone are the two brands that you will find the most in every cafe, supermarket… and that are usually also in tv-series and movies, because they represent Naples! Usually you shouldn’t have problems in buying coffee as souvenir from Italy but reading the TSA rules is always a good idea, just in case! Choose carefully when to drink your glass of water in Naples! 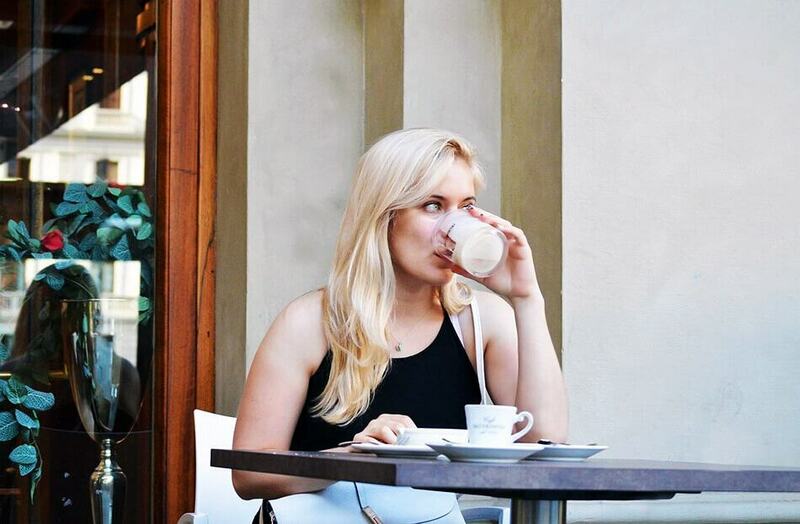 Ordering a coffee in Italy is pretty simple. 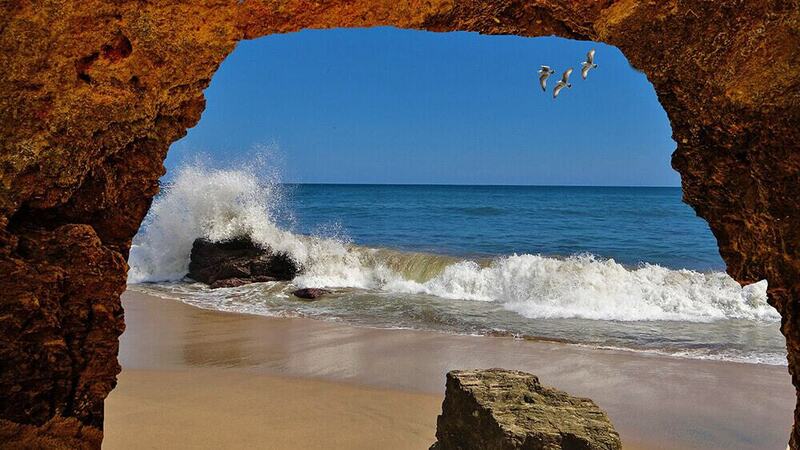 Yet in Naples (and in general in the South), your experience may be completely different. 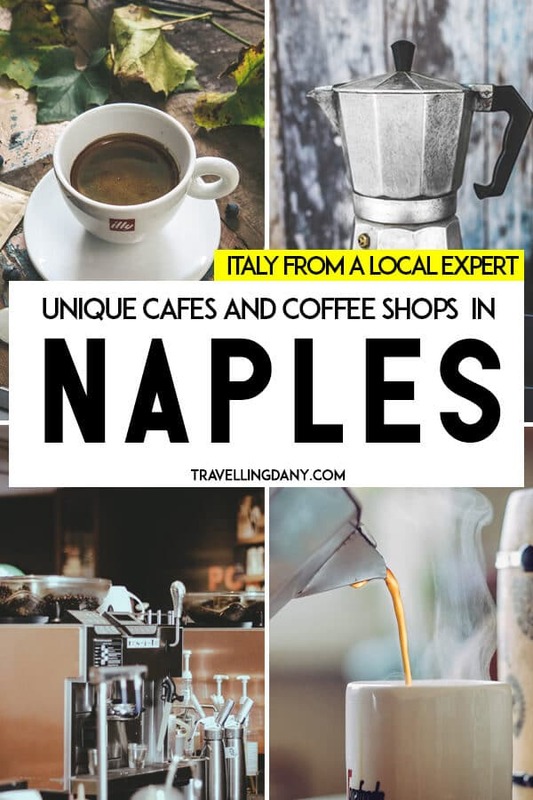 Naples cafe are much more of a social gathering places than just a stop on your way to work or to visit the city. In the rest of Italy, when you walk into a “bar” (our cafes), you walk straight to the cashier and ask them “Posso avere un caffè per favore?” (translated from Italian it’s “Can I have a coffee please?“). Here we’ll all assume you’re asking for an espresso. You then proceed to walk to the counter where you will be served your coffee. In Napoli, caffè is a way to interact with others and socialize. You’re not Italian? Heck, people will be there smiling at you and trying to make small conversation. We get millions of tourists every day in Naples and we still love to know they are liking our city as much as we do. Naples is the one place in Italy where we are genuinely happy to interact with the tourists. People will also probably share a laugh with you or ask you where you are from. Yes. Even if they don’t speak a single word of English! When I mentioned the “art of espresso” I wasn’t kidding at all. Coffee in Naples will cost you on average between 0,90€ to 1,20€ (it can be more expensive on some cafes on the Amalfi Coast, because that is the touristy part of Campania region. As I mentioned when I told you of the expensive pizza near Pompeii archaeological site, if you go to the “tourist traps” expect them to be expensive.). While in the rest of Italy you only get a cup of coffee, Naples is different. Make sure to follow the right Italy tipping etiquette also when having a coffee in Naples, to make sure not to come across as rude! Do you want to know how to recognize the best cafe in Italy? They will never just serve you a cup of espresso. In Naples, specifically, we’d consider it very rude. We expect certain things, so even if you don’t ask, you will be served a nice glass of water (for free). You have to drink it before to drink your coffee, because it helps to cleanse your palate and to enhance the coffee aroma. Drinking your water after your coffee in Naples is considered offensive towards the barman who prepared your espresso. He will think you didn’t like the coffee he prepared for you! Did I mention that coffee philosophy here is a part of our culture? Before I suggest you a few places where you can go to grab a delicious espresso, let me clarify something. In Naples cafe is always delicious wherever you go. O’ cafè (coffee in Neapolitan dialect) is a ritual we have been following for centuries. We want our coffee to be good so if a bar prepares a crappy espresso, rest assured that it’ll get out of business soon. 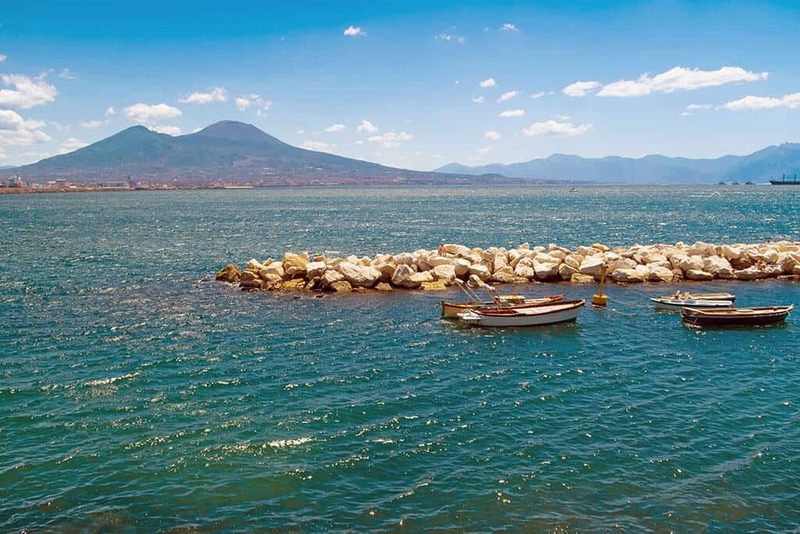 Yet there are a few spots that you should go to if you intend to visit Naples. Let me tell you why. Gran Caffe Gambrinus: As I already mentioned, Gambrinus has hundreds of years of history. You can choose to get a table inside, outside or to drink your coffee at the counter (which is the least expensive option). If you sit outside you will have an amazing view on several historical buildings, San Carlo Theatre and Piazza del Plebiscito. Sitting inside feels like stepping into another era. Gran Caffe Gambrinus is like a museum, straight out of the old times. Unfortunately sitting at one of the French styled tables inside can be a bit expensive. If you’re on a budget, enjoy your cafe at the counter! At Gambrinus you have a high chance to meet politicians, actors or celebrities. Il vero bar del professore: Located a few steps away from Gran Caffe Gambrinus, it is famous for the “Nocciolino“. It is a hazelnut cafe, a Neapolitan espresso with a delicious hazelnut cream. It costs 2,50€ and it’s always served hot. This bar is tiny and inside they keep hundreds of pictures of the celebrities who have been drinking coffee with the owner. Yet I must advise you to get your espresso at the counter: getting a table here can be very expensive. And… not worth it, if you ask me. Should I choose, I’d still prefer to pay extra and sit down at the Gran Caffe Gambrinus. At least, the place has lots of history! Chalet Ciro: Located on Lungomare Caracciolo, the place where people go to enjoy some sun, a romantic seaside walk under the moonlight or a gelato. 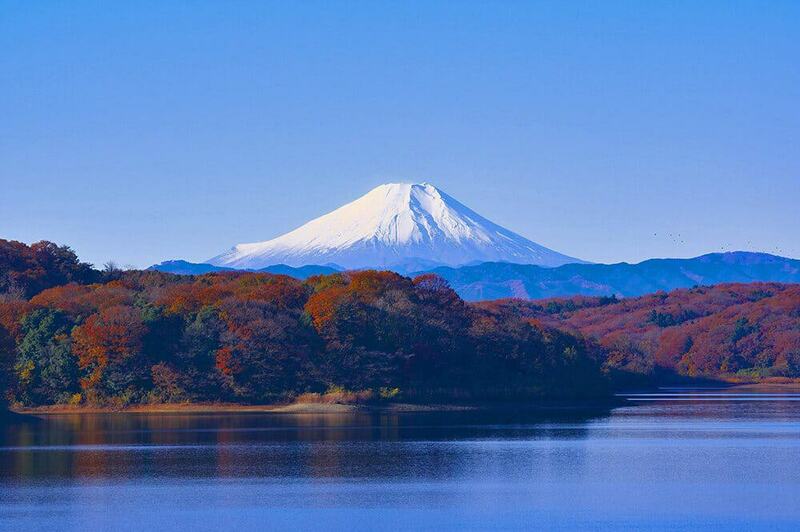 It is another very famous spot among the locals. Lots of Neapolitans come here to buy baba or other cakes that they can serve to their guests for the Sunday lunch. You can choose to sit outside, but it can be a bit crowded, especially on the sunny weekends. We usually like to eat babà, on the must eat list for Naples, drink a Neapolitan coffee and then walk outside. We just cross the street to enjoy a magnificent view on Castel dell’Ovo and the sea of Naples. Lots of Neapolitans swear that Chalet Ciro makes the best coffee in Naples. Patisserie Capparelli: One of Naples cafe spots located in the heart of the Centro Storico. It’s not only famous because of their espresso but once again… because they make amazing sweets. Neapolitan sfogliatella, babà, babà with Amalfi lemons custard and much more. It is very close to Naples Duomo. 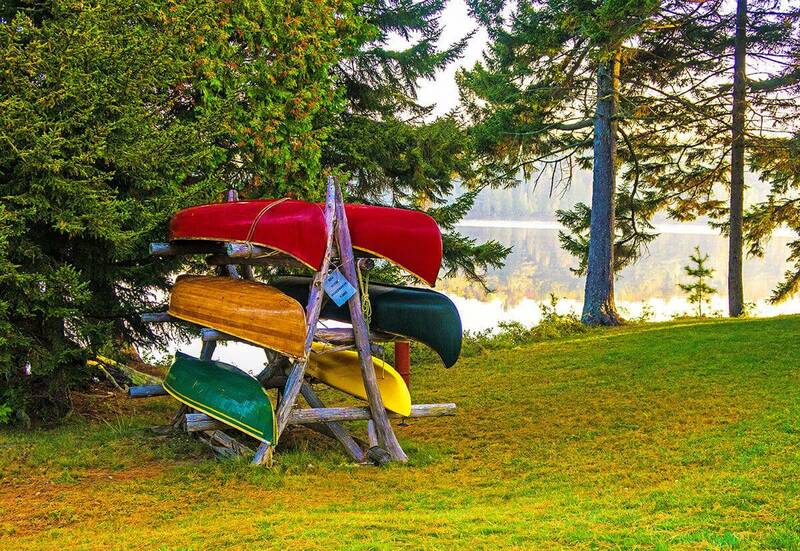 Here you can find a post where I tell you what you can do in the area. Bar Nilo: This place is absolutely famous! Not only in Italy but in the whole world. Why? Well but of course because this is some kind of a “shrine” for all the SSC Napoli and… Diego Armando Maradona fans. One of the most famous soccer players in the world, adopted by our city, remembered with street art and even small monuments throughout the city, here has even an “altar“. The owner in fact has saved what he claims to be one of Maradona’s hair. And he swear it makes miracles! So fans from every part of the world come here to offer a memento: some people visited all the way from Japan to bring a SSC Napoli scarf! Carraturo: Another one of the best cafes in Naples, Carraturo is famous for the delicious Neapolitan sfogliatella. Coffee is also good so you could have the perfect combo that every locals love: caffè e sfogliatella! They are handmade and always fresh. Be prepared to drool: here they make Nutella sfogliatella!!! 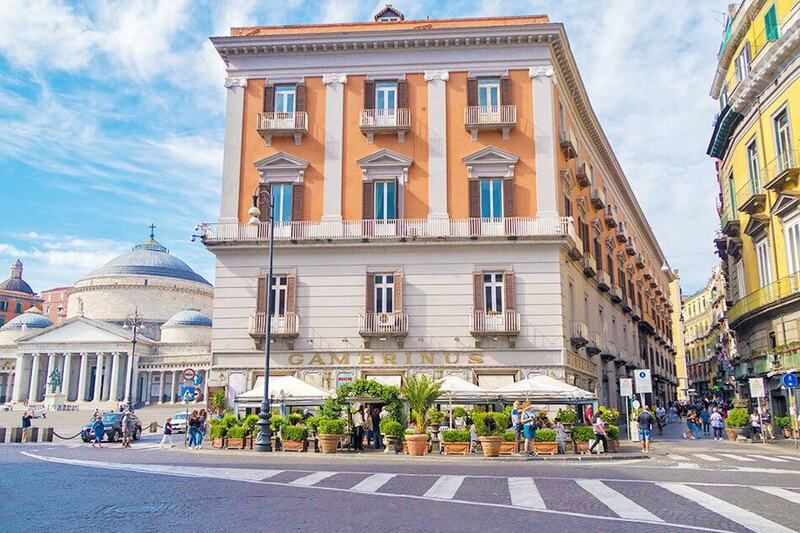 This cafè is located in the heart of Centro storico. Kimbo’s mission is to “put Naples in a coffee cup”! 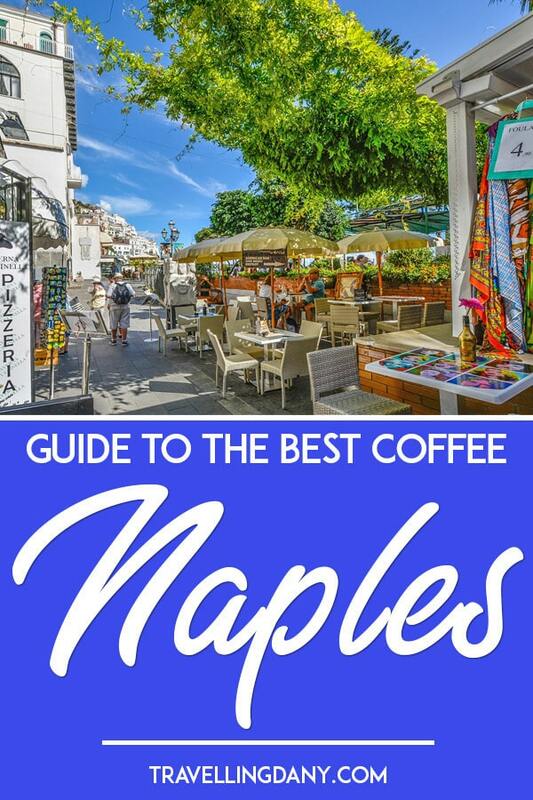 In Naples coffee shop is a place where people go to buy… coffee beans or ground coffee. It has thus a completely different meaning from the coffee shops you can find in Amsterdam. The correct name in Italian is “Torrefazione“. In some you can also drink their own, locally prepared, brand of coffee. Unfortunately they are more and more rare. If you are planning to buy ground coffee as a souvenir from your trip to Italy (you might know by now that I’m slightly obsessed with local little finds, I even have a long list for the souvenirs we bought in Japan), you can buy it at every supermarket. It will be way cheaper than what you’ll pay for it by buying in a bar or at a torrefazione. Usually a 250gr pack of Kimbo coffee at a supermarket will cost you about 4€. It usually lasts us for about 3 weeks, but we drink our espresso every day! You can scroll up to see all the best brands you can buy as a souvenir. Ground coffee is tightly sealed (please don’t break the package or you’ll lose all the precious aroma!) and thus you can carry it with you in your cabin luggage. You’ve probably heard a lot of the Neapolitan flip coffee pot. I’m a local, so let me tell you a secret. Less and less people use it nowadays!!! It is difficult to use, difficult to clean, and not many people can wait for their coffee to be ready (it’s soooo slow! ), especially in the morning when they are in a hurry! I suggest you buy an easy to use Moka pot. 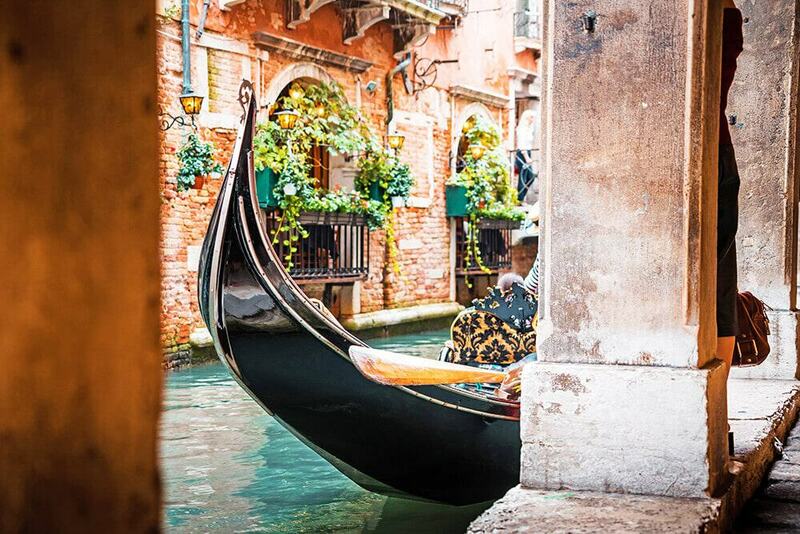 Did you know that some Neapolitans bring theirs with them also on vacation? We just can’t live without Neapolitan coffee! 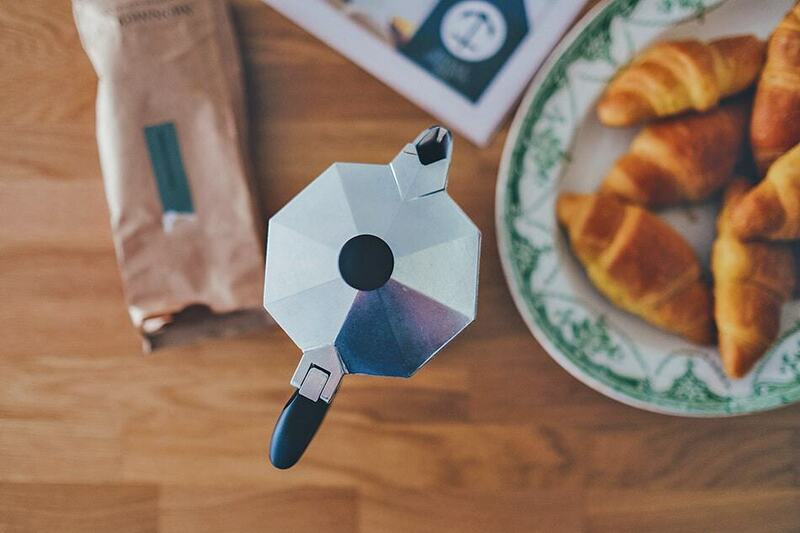 If you decide to stay in Naples Centro Storico, at B&B Salvator Rosa 78 they will teach you how to use a Moka pot: it’s completely free and it’s one of those things you can show your friends once you’re back home! The price of a Moka pot varies depending on its size. One that makes 3 cups of espresso will cost you 12-14€ on average and you can buy it in a lot of shops in Naples, or at a supermarket. Or even online on Amazon if you don’t want to carry it around! If the Moka pot is new, you need to boil it two times just with water to clean it up. Put the water in the water tank up to the valve (it has to barely cover it. If the level of water is too low, under the valve, the moka pot might explode! ), don’t waste ground coffee. Just start it, wait for it to boil, then throw the water out. Do it for two times. On the third time you can add 1-2 teaspoons of ground coffee. Throw it out right after. When you are preparing your espresso, after putting water on a level above the valve, you will have to insert the Moka pot funnel and start adding ground coffee. The trick is to apply some pressure with the back of a teaspoon, but not to much that water won’t filter through the powder. Here moms and grandmoms always have the same tip: don’t add too much ground coffee! Screw the upper part tightly onto the base and place the pot on a suitable heat source. A good Moka pot will also make a thin layer of foam (“crema“) on the top. Are you visiting Naples in the warmer months? 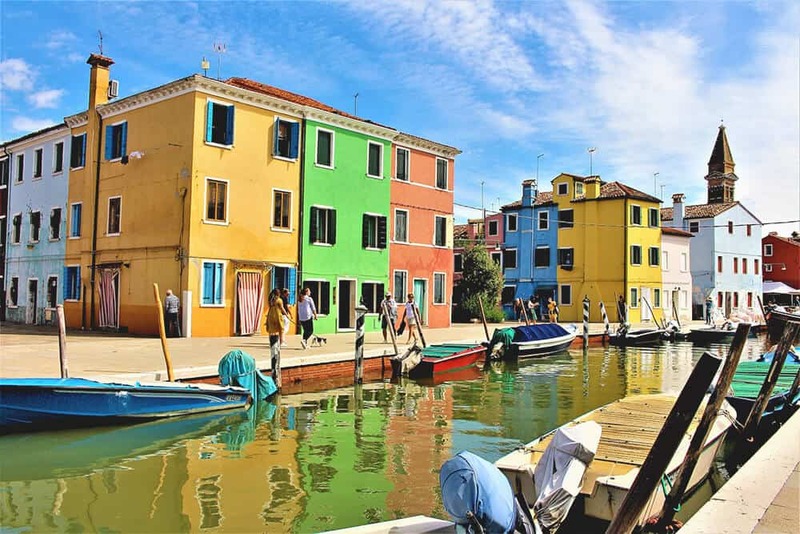 Learn what to wear in Italy in summer to avoid the worst tourist mistakes!